Vita-D-Chlor Slo-Tabs are the same size, shape and weight as our standard Vita-D-Chlor tablets. They are well suited for situations requiring longer flush times at lower flow rates. 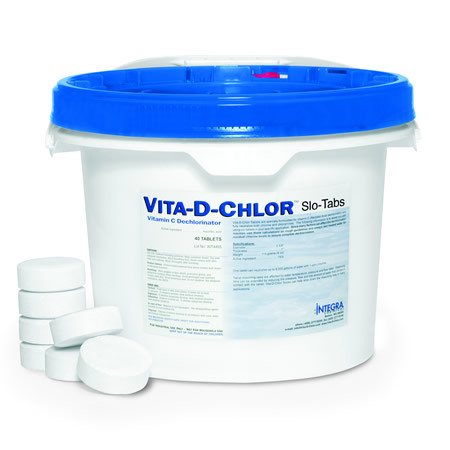 As with all Vita-D-Chlor products, Slo-Tabs do not effect pH when dosed properly for the treatment of potable water. Dissolve rate: Approx 0.2 grams/min in a 5 gpm stream.